On October 5th, 2018, our consultant, Cassey Champagne, shared with the team her project experience in Risk-Based Asset Lifecycle Management. Cassey walked us through the risk-based methodology she used to provide the client with detailed long-range planning for maintenance and engineering activities, to ensure existing operations were kept sustainable and reliable until planned decommissioning. 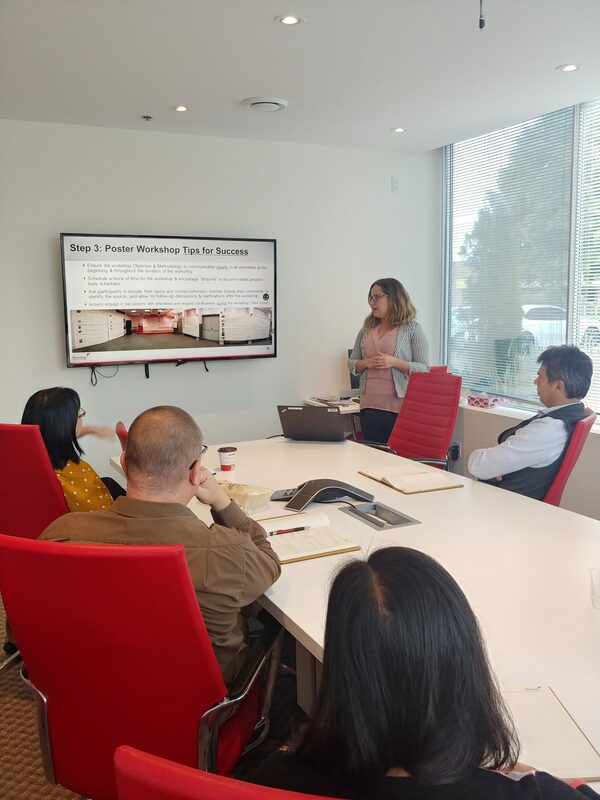 Cassey also shared sample deliverables, discussed lessons learned, and offered tips and suggestions for completing similar projects for other clients in future. Great job, Cassey! Thanks for sharing!